We awakened this morning to the sound of inevitability – a three-day thrashing to complete an Ashes whitewash that was on the cards as soon as The Urn was lost pre-Christmas. The story was a familiar one this winter – an opening session-and-a-half that had the Aussie top-order all back in the hutch for less than a ton, then the turnaround that culminated on day three in an England side all-out within 35 overs to lose by almost as many runs as they totalled in the match. 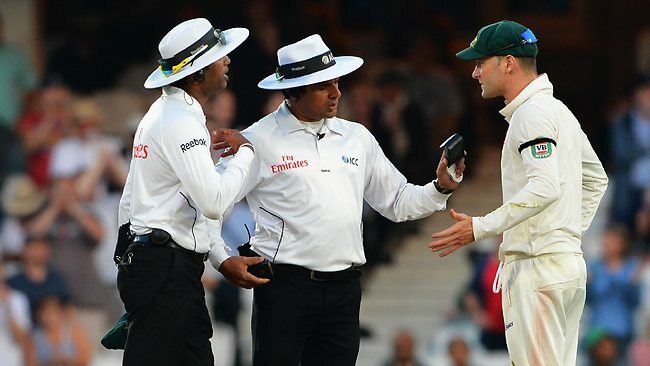 Was it any wonder that an Ashes series mired in controversy over technology, and the misjudgement (or more to the point misapplication) of it, should end with the farcical image of two umpires leading the teams from a field bathed in floodlight because, in the judgement of the rules, the light was too bad to continue. All of my Music Blogs are now on a separate website:autodiscography.co.uk.